Need your advice on below and appreciate your inputs on this . We are very close to Green Card renewal and I got my citizenship but still my wife has Green Card ( She did not applied for citizenship ) now my wife wants to renew her Green Card and it's expiring on 1st Sep 2019. 1) She wants go India in the summer end of May 2019 and returns back on end of Jul 2019 does it creates any problems at port of entry because her Green Card is expiring on 1st Sep 2019 ? 2) Do you advise to apply Green Card renewal before going for vacation or apply after coming back vacation in Aug 2019 ? 3) She can apply Green Card renewal 8 month before ? I heard that we have to apply GC renewal before 6 months ? 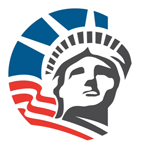 5) Do you advise to hire Attny for Green Card renewal ? 3. no. If she applies based on a card that will expire, it must be less than 6 months before expiring. ""Upon receipt of your properly filed Forms I-751 or I-829, U.S. Citizenship and Immigration Services (USCIS) shall extend your conditional permanent resident status automatically, if necessary, until such time as USCIS has adjudicated the petition. The Form I-797 Receipt Notice for such a pending petition will serve as your proof of conditional permanent resident status."" Have her file after she returns. Thank you very much for quick reply. It's really great help.